Our address is at Unit 105 Emerald Mansion, Garnet Road, Ortigas Center, Pasig City, Philippines. Here’s a map for you! What does CrossFit Ortigas teach? CrossFit Ortigas teaches a series of strength and conditioning programs that is focused on a wide variety of functional movements. CrossFit Ortigas combines weightlifting, gymnastics, and metabolic conditioning that will improve your strength, flexibility, and cardiovascular health. 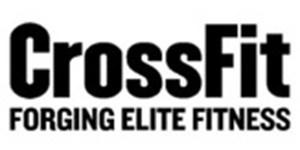 Here at CrossFit Ortigas, all our classes are taught by seasoned and experienced CrossFitters. What they will teach you, they have honed through countless wods and competitions. When compared to your typical globo gym, you will actually pay less than a regular gym membership with a personal trainer. Not to mention, we at CrossFit Ortigas will GUARANTEE RESULTS! We accept cash, cheque, credit card, and gold doubloons. If signing up for a long term contract, you need not pay a lump sum. You only have to pay for your first month and last month’s membership rate. Rest assured, we will never bill your credit card for the whole term. It’s simple, contact us to reserve a slot for a class, wear/bring a comfortable workout clothes, be there on time for your class, and let us give you the best workout experience of your life. You bet! Just contact us to reserve a slot for our trial classes. I’m not sure I can do this. How can I be sure I’ll be able to keep up? The beauty of CrossFit programming is universal scalability. We scale the wod based on your abilities and work capacity. You move at your own pace and you work your way up the ladder. We also have beginner bootcamp classes for those who are not ready to lift weights, and our Intro to CrossFit classes will prepare you to perform the movements properly and safely. What is the beginner bootcamp class all about? Our Beginner Bootcamp class, as the name implies, is bodyweight only. This class was designed for those new to CrossFit. This class features plyometrics, calisthenics, Tabata training, cardio-training, etc. All our Trial classes begin here. 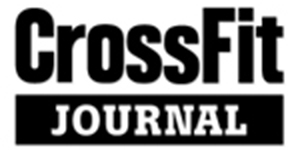 What is the CrossFit Foundations class all about? This class is designed to prepare newbies and beginners with the different foundational movements of CrossFit. Before a client can participate in the regular Wod classes, they have to graduate from this class. This is a 2 hour class, scheduled by appointment. 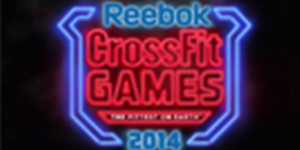 We will discuss CrossFit definition, history, methodology, philosophy, etc. We feel it’s not just important to know “how” to do the movements, but also “why” we do the movements. Will this type of training help me get stronger? Yes! 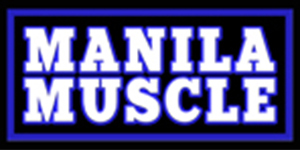 Here at CrossFit Ortigas, we spend 10-20 minutes of each class improving either a skillset or strength-training. We believe that strength is a major component of fitness. Will this type of training help me lose weight? Yes! If by losing weight, you mean being leaner and fitter. With the type of metabolic conditioning involved in CrossFit training, your body won’t have a choice but to burn body fat. What if I don’t get any results? In the extremely rare case that you don’t net any results from this type of training, CrossFit Ortigas will gladly refund your 1st month’s membership fee. This is what sets us apart from other gyms/fitness centers. We stand behind our training methodology. Please visit the box for more details. I have existing injuries; will I still be able to do CrossFit? For the most part, yes! We have to assess what type of injuries and physical limitations you have, and we will work around them. Bear in mind that there are CrossFitters all over the world with similar or worse impediments and they haven’t let it stop them from becoming fit.